Spain's nuclear safety regulator has given conditional approval for the restart and continued operation of the Garoña nuclear power plant, which has been offline for the past four years. Operator Nuclenor would be required to make a number of safety upgrades. At the plenary meeting of the Nuclear Safety Council (Consejo de Seguridad Nuclear, CSN) on 8 February, four of its five members voted in favour of approving the conditional continued operation of the 446 MWe boiling water reactor. The plenary made its decision after a review of documentation submitted by Nuclenor - a joint venture of Endesa and Iberdrola - to support its operating licence renewal application. The CSN said: "The evaluations conclude that the proposals are acceptable from the point of view of radiation safety and protection, although it is necessary for the licensee to carry out additional actions which are identified within limits and conditions on nuclear safety and radiation protection and which are included in the proposal that the CSN will send to the Ministry of Energy, Tourism and the Digital Agenda." Nuclenor would be required to make a number of safety modifications to the plant, in line with requirements introduced for all Spanish nuclear power plants following the March 2011 accident at Japan's Fukushima Daiichi plant. These include installation of a filtered containment venting system, construction of alternative emergency management centres and installation of a passive autocatalytic hydrogen recombiner. In addition, the operator is required to undertake a number of administrative procedures regarding documentation and safety plans for Garoña. Nuclenor said it would "analyse all aspects of the report, together with the rest of the applicable conditions, to decide on the future of the plant". 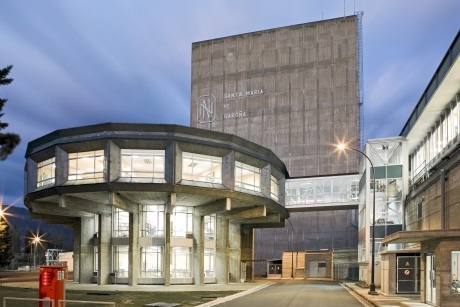 The Garoña reactor began operating in 1971 and was deemed by the CSN to be suitable for operation until 2019, given certain technical upgrades. However, in September 2012, Nuclenor missed the deadline to submit an operating licence renewal application for Garoña meaning that it had to be shut by the time its licence expired on 6 July 2013. However, the reactor was closed in mid-December 2012 to avoid a full year of retroactive tax charges for which Nuclenor would have been liable if the plant was operating on 1 January 2013. In February 2014, the Spanish nuclear industry lobbied for regulatory changes that made it possible for a reactor closed for reasons unrelated to safety or radiological protection to be granted a new operating licence within 12 months of its shutdown. Nuclenor submitted a licence renewal application for Garoña to the former Ministry of Industry, Energy and Tourism on 27 May 2014, requesting a licence for Garoña to operate until 2031. The ministry subsequently forwarded this to CSN for evaluation. The CSN said a final decision on allowing the plant to restart would be made by the Ministry of Energy, Tourism and the Digital Agenda once Nuclenor has met all the requirements.